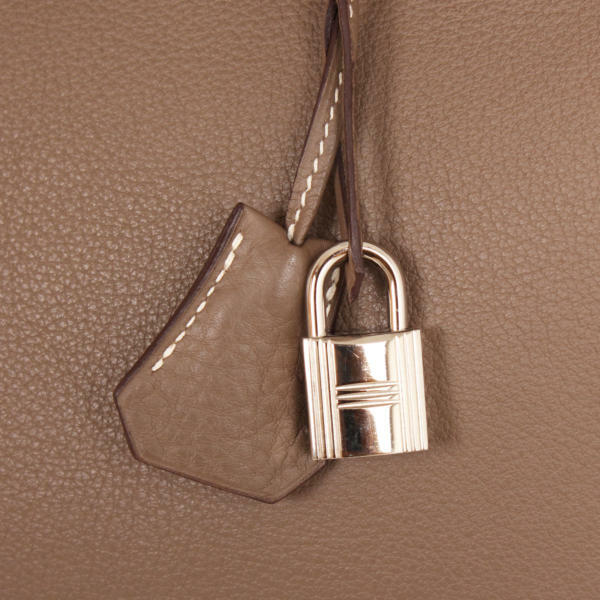 This classic Hermès Birkin bag in such a versatile color adapts so well to any occasion that you won’t want to leave the house without it. 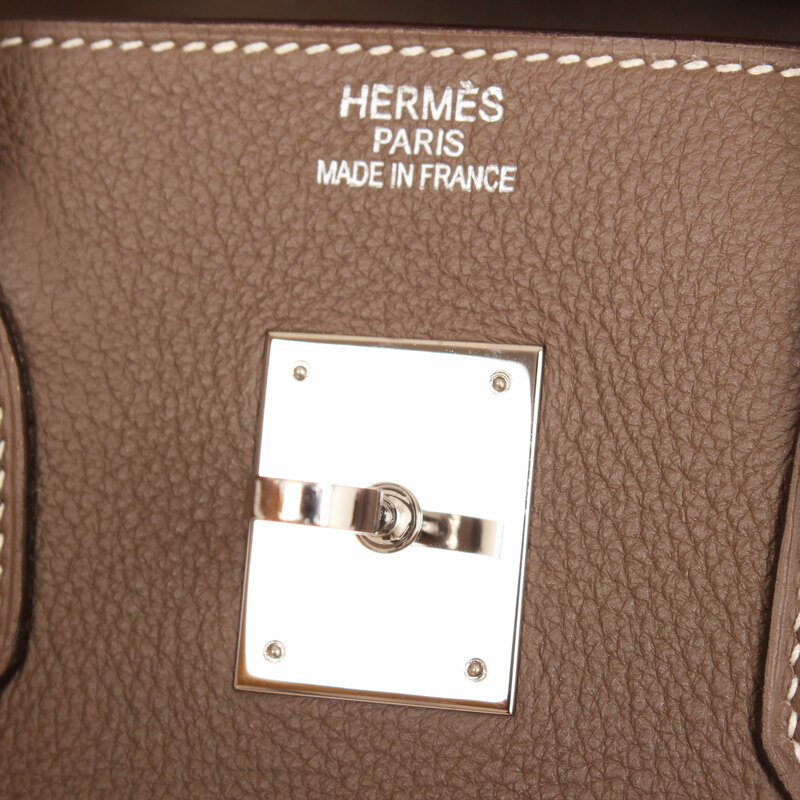 This timeless Hermes Birkin bag in size 35 is crafted of Togo leather, one of the most popular and resistant to scratching Hermès leathers. 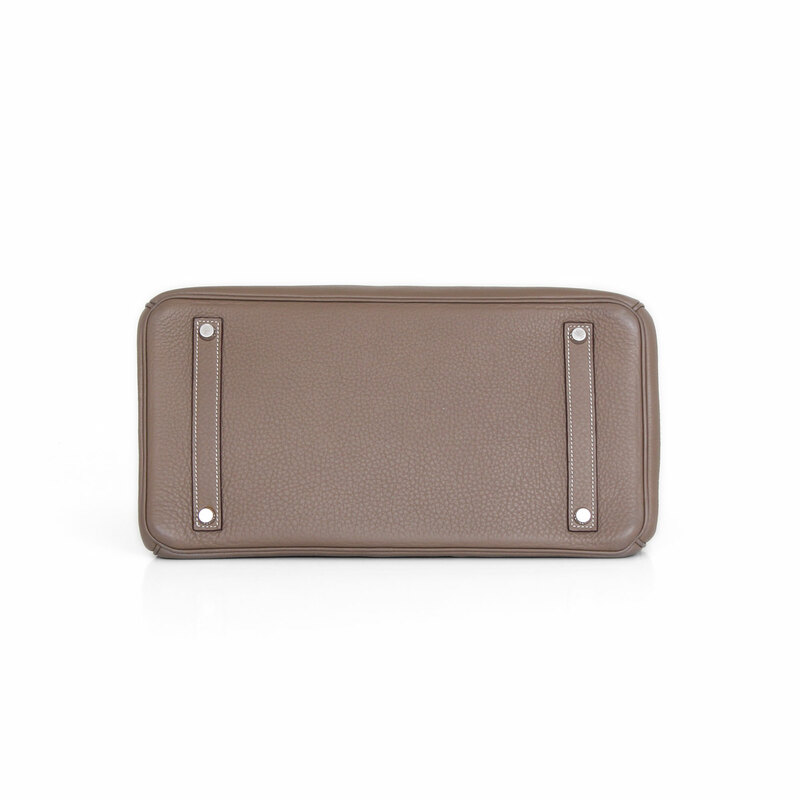 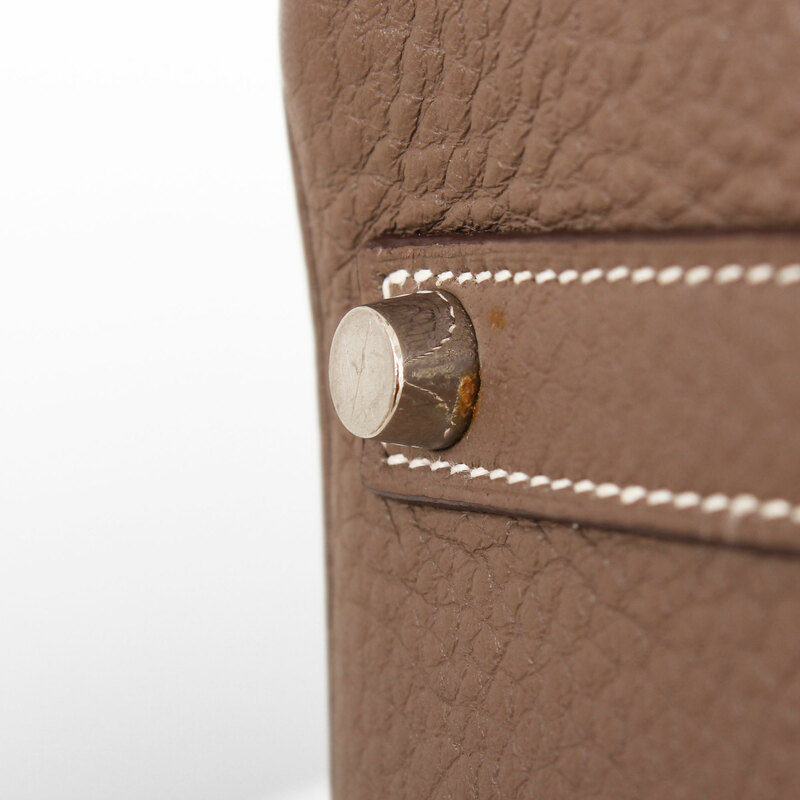 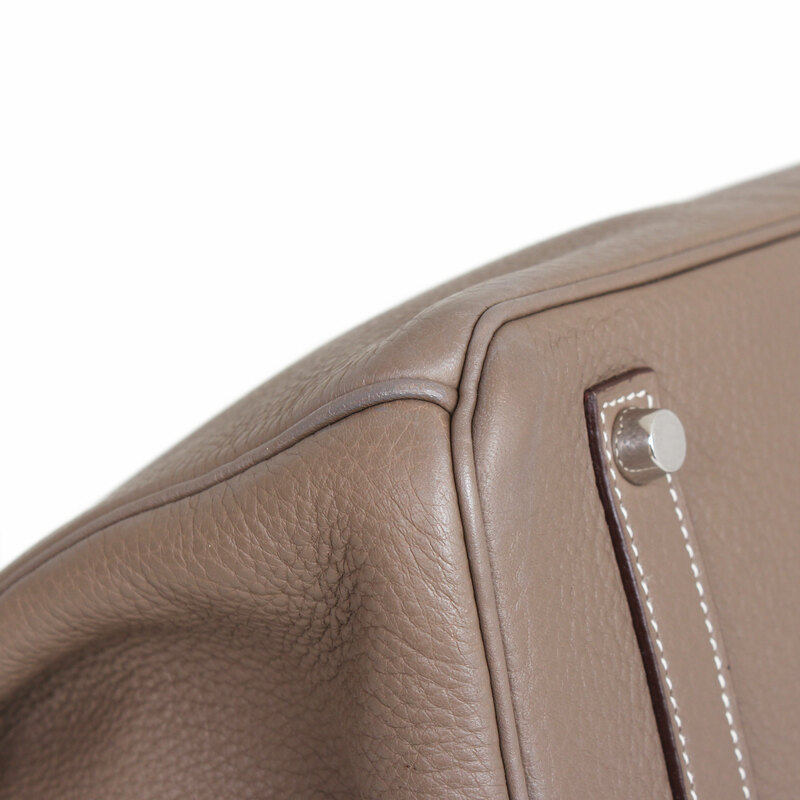 Its Taupe color is accented with palladium hardware and white stitching. 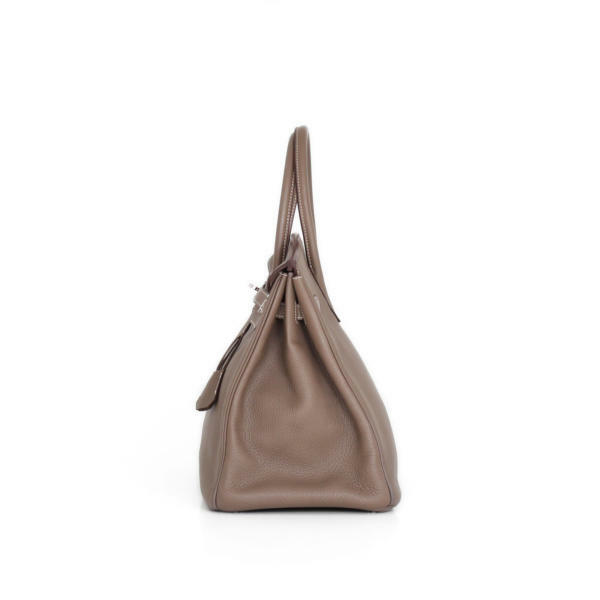 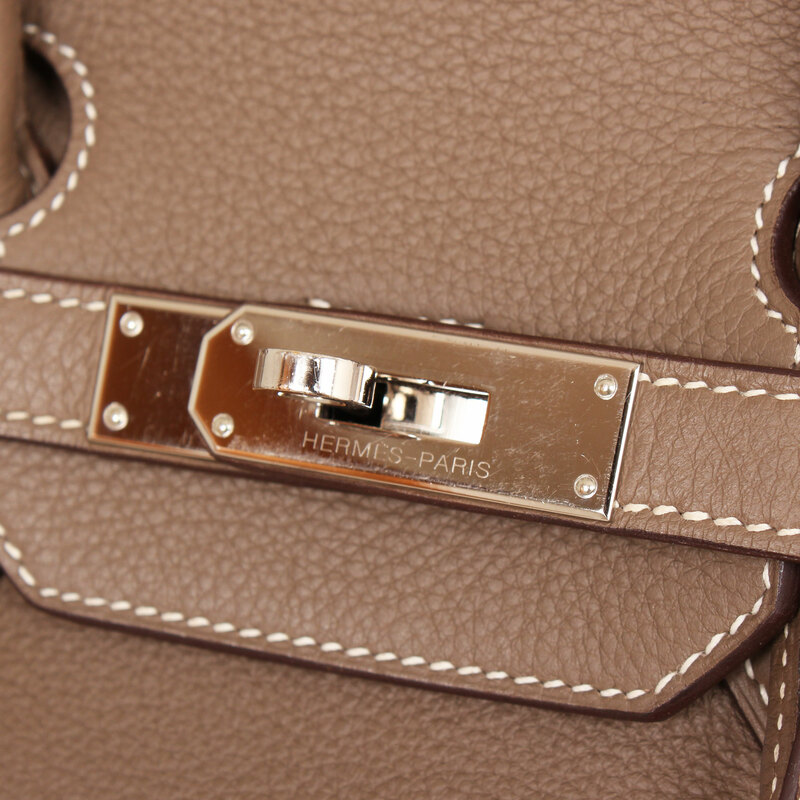 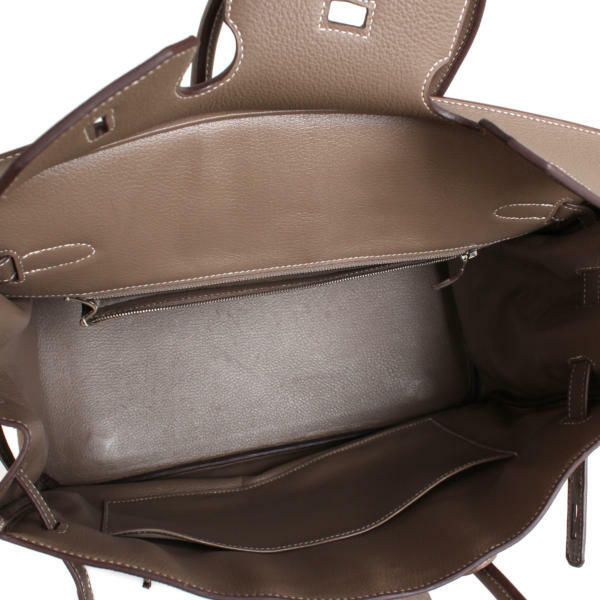 Like all Birkins, it shows a tripartite front flap with double top handles for a perfect hand carry; reinforced base with four metal feet and a matching interior with two pockets: one open and one with zipper.